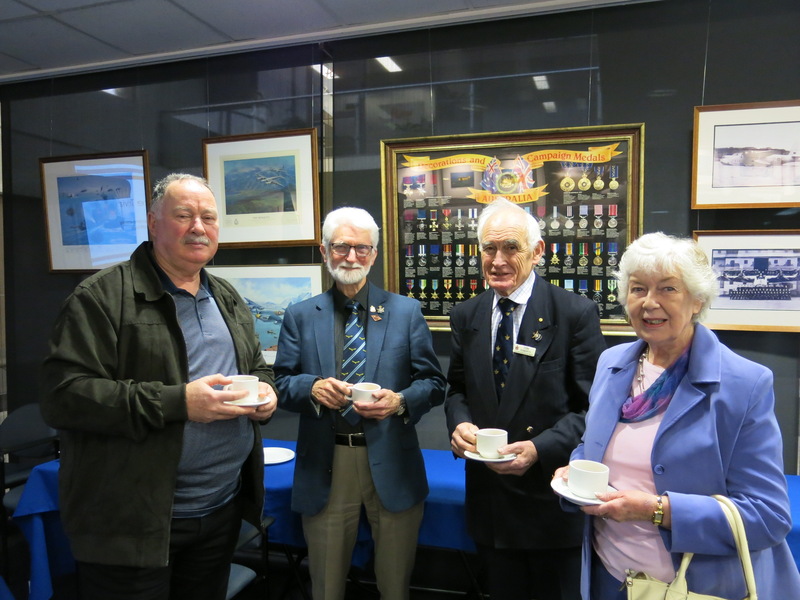 On a cold wet Thursday, 28 June, around 20 people caught up for AFA Victoria’s regular Meet-A-Mate event at the AFA Victoria offices in Hawthorn. 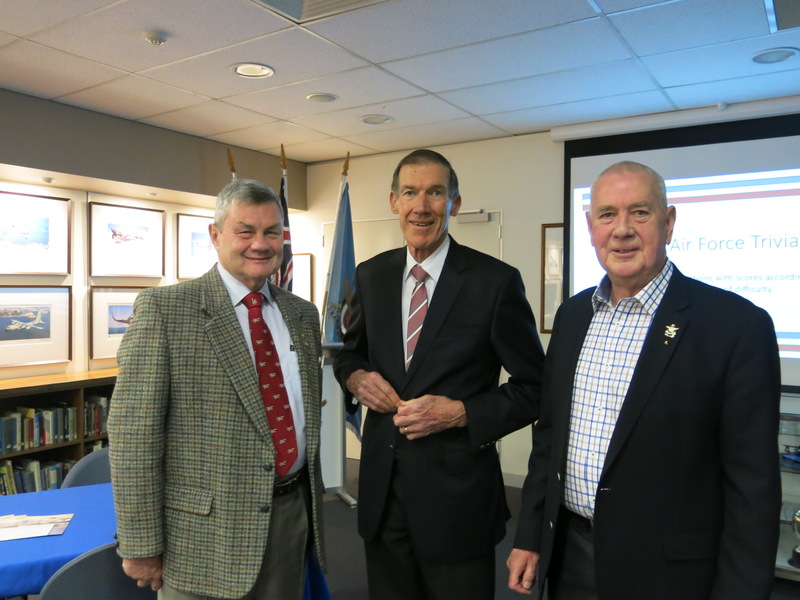 Sadly, our planned guest speaker, veteran and ex-POW Jack Bell was unwell and unable to attend. 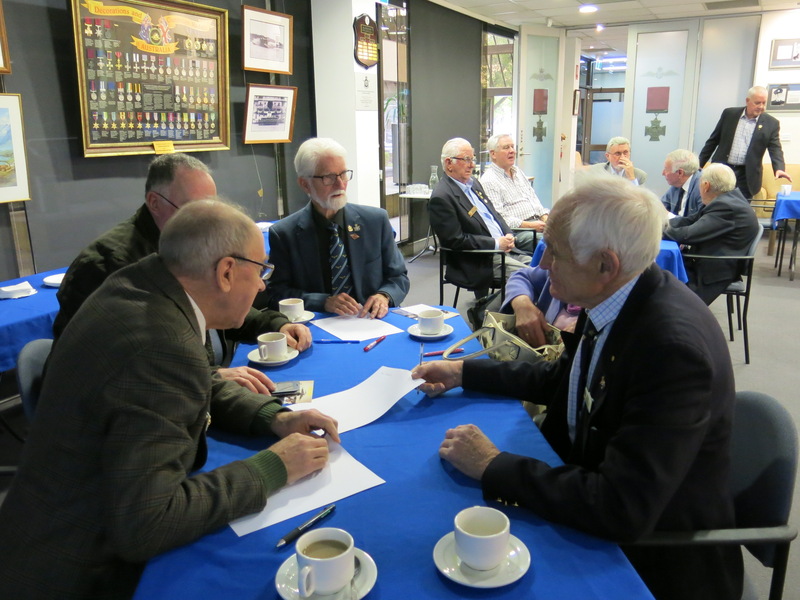 However, instead we proceeded with an ‘Air Force Trivia’ afternoon, capably hosted by ‘Grand Quizmaster’ and our National AFA President, Carl Schiller. Following a light lunch, four tables competed vigorously for the honour of being name quiz champions - to point where “hands up” was overtaken by calling out answers – a practice quickly discouraged by the Quizmaster. After a few curly questions, debate and laughter, Table 3 of Clive Carmichael, Ron Tayles, Peter Colliver, Valentine Smith, Belinda Smith were declared champions. Footnote: Jack Bell is recovering well from his accident and is very keen to come along to a future Meet-A-Mate event. 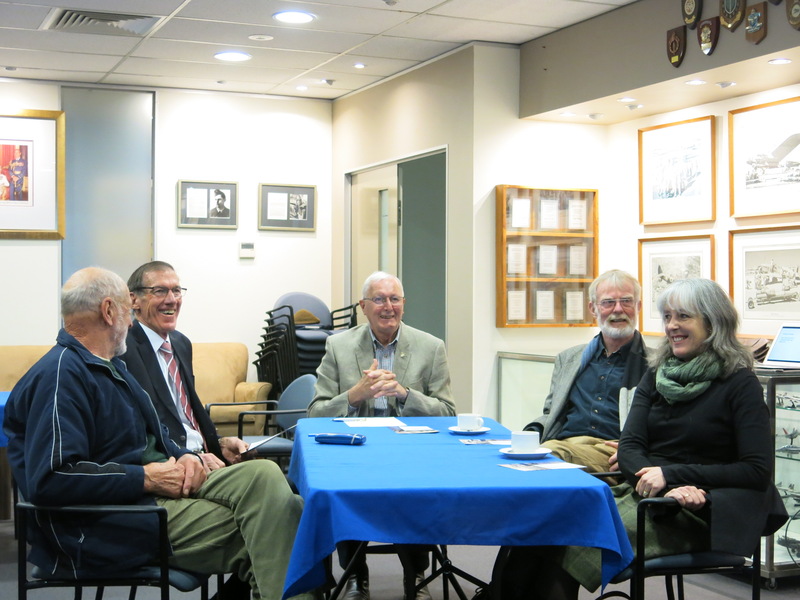 Above (L-R): Bob Woods, Noel Hutchins, Tom Roberts, Penny Roberts.